Every week, we'll announce a new Wildcard winner: a recipe that may not have been entered in (or won) a contest, but a recipe that we've tested and loved. 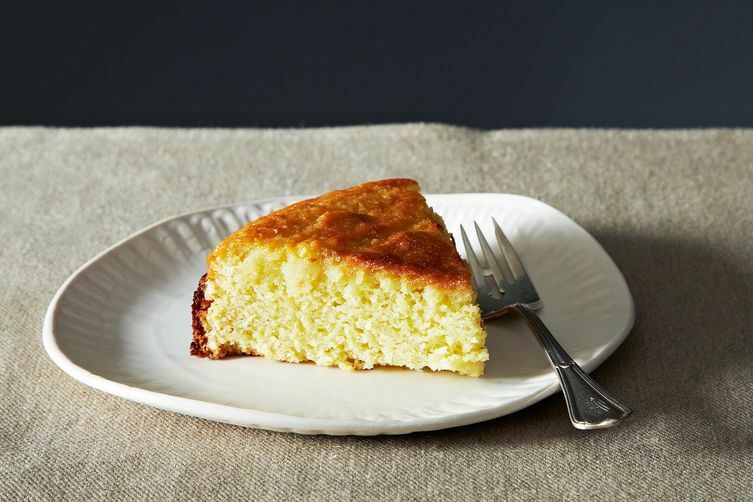 Today: A classic, lemony olive oil cake, with ingredients you probably have on hand already. And if olive oil is your thing, visit the Filippo Berio Facebook page for a chance to share your olive oil tips and win a week of cooking classes in Lucca, Italy! WHO: Jaynerly is a food blogger and avid home cook who lives in London. WHAT: A classic olive oil cake that tastes transported from the Tuscan countryside. HOW: Zest and juice your lemons, fold your flour into your wet ingredients, and bake. WHY WE LOVE IT: We love how simple this cake is, with each ingredient playing a part; the lemon keeps it bright, while the olive oil makes it fruity and moist. It would be great with tea for an afternoon snack, or after a long, leisurely dinner -- or, honestly, as a weekend breakfast. Note: Start watching the cake after 45 minutes; if the edges start to look dark, turn the temperature to 350°F until a cake tester comes out clean. This post was brought to you by Filippo Berio Olive Oil, in honor of Filippo's 184th birthday. I so enjoy recipes from this site, especially when it comes to high quality baked goods. Best scenario for me is that this high quality site would begin including weights for the ingredients. Not always, but often enough weights (grams and/or oz.) can help up the baking/cooking game big time. Oh, this looks wonderful! I love the weekend-breakfast idea. Perhaps as a reward for finishing my morning run! This looks wonderful!! Congrats on the wild card win!! How do i print recipes without photo's???? ?